Tripp Lite's PS712B power strip offers reliable, convenient and cost-effective power distribution for applainces, power tools, lighting and other electrical equipment. 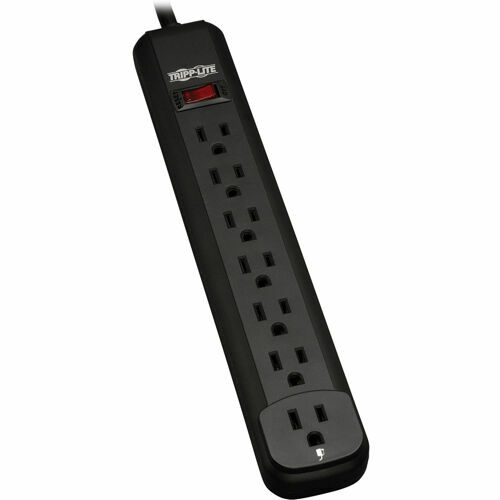 PS712B offers 7 total outlets, 12 foot cord. Attractive black housing with keyhole mounting slots and 1 designated transformer plug outlet. Multi-outlet strip reduces cable clutter and enables the connection of multiple electrical devices to a single AC wall socket.